There are many hits and misses when it comes to writing an effective resume. To make sure that you stand a chance despite the number of competition, it is crucial that you include a well written resume objective. The objective sentence should be able to describe the type of position you wish to apply while telling your employer what you wish to accomplish and career goals. To ensure that your entry level resume objective will be effective, customize this based on the job requirements and opportunity. Always keep in mind that your resume will represent your academic and professional career so a strong and standard resume objective will allow you to set the tone and properly describe to your potential employer that you should be considered for an interview. But remember, don’t lie in your resume. The truth will be reveled sooner or later and consequences will not be nice. Bare in mind that lying in resume is among top 5 reasons why your resume will be rejected. Objectives will help clarify your career goals and this will enable you to impress hiring managers so keep it professional and direct to the point. Avoid lengthy resume objectives. Focus only on relevant and general experience that will fit into a sentence. Your objective should be utilized as a selling feature so choose the words to use as this will help attract your potential employers. Identify yourself and state the position you wish to apply. Skip the descriptive words but center on relevant skills, experience, knowledge and interests that will be beneficial to the company. Always customize your objective. Hiring managers can easily spot generic resumes and you will have better chances of making a good impression by tailoring your objective and resume based on job opportunity. To attain career growth by learning the marketing process and innovations with top notch finance company. To obtain employment in a challenging and fast paced nursing environment while improving with the help of healthcare professionals. To get a job opportunity for growth, improvement and advancement in banking and finance by working alongside qualified and experienced professionals. 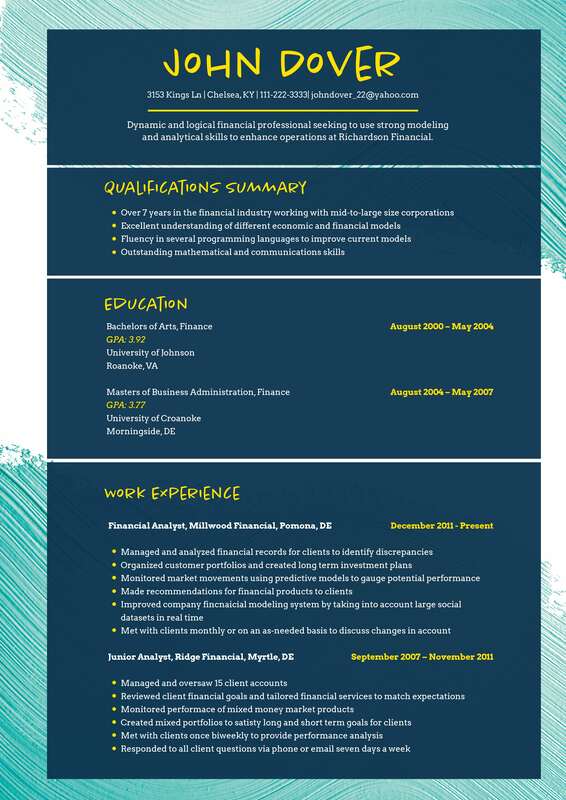 A desire for a job in customer relations to utilize my organizational and communication skills which will be useful and beneficial to any company. A good resume objective is incredibly effective and helpful especially when you write it properly. For job applicants looking to improve their job positions, change careers or simply want an entry level employment, we can provide you quick and quality resume help. One of the main benefits when working with us is that we will tailor made your standard resume objective in order to meet the professional standards of any hiring managers. We understand how challenging it can be to compete especially if you have limited experience which is why we extend our services to deliver you 100% premium resumes.